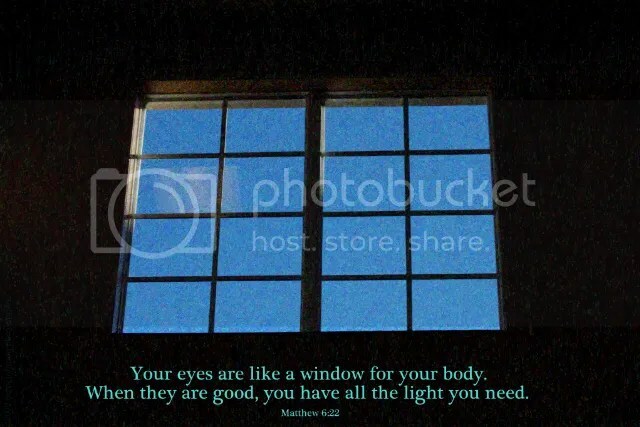 you have all the light you need. you surely are in the dark. Yesterday, my closest was a mess. Stepping over this and that, it was difficult to maneuver once inside. Where did that shoe go? I finally made the decision to really straighten things up and throw some items away. Did I suddenly have the urge to be organized because I needed an orderly closet, or was there another reason I knew nothing about? I think God guides our steps, whether we understand the guidance or not. For the past several days, I have been concentrating on a particular chapter in the Bible during my study time. I had remembered the first time that I felt God leading me to that passage for intense consideration almost two and a half years ago. I knew I had materials and notes from that time, but I had no idea where they were. In fact, when I decided to clean out my closet, these notes had not even crossed my mind. As I sat going through some papers I had unearthed from the clutter, I found the folder with all my notes from that time. Thoughts long forgotten on the subject have been renewed. Since my heart is ever changing with each passing day lived in faith, I am now looking at the words penned from years ago with different eyes. Did God want me to find those papers? I think so. Did He tell me they were in the closet? No. The desire to clean the closet during a time when I am seeking God’s wisdom on a particular passage is more than just a coincidence. Our son developed a high fever in the wee hours of the morning. On the way to the doctor’s office, we had to stop at a nearby service station. As I tried to start the engine, a mysterious clicking sound happened. My son and I prayed.. I asked someone in the parking lot if they had battery cables. Just then, a young man pulled up in a truck. When I inquired about battery cables, he said he was just about to ask me if I needed help. Within minutes, my car was started. I told the man my name. He told me his. The name he spoke was the same as another young man I have in a small group Bible study in a nearby town. When I asked if he knew him, he told me he was his brother! I related to him how my son and I had just prayed. He said he knew there had to have been a reason he had procrastinated coming to the station today…. God was reminding us that He was there all along. He brought help when help was needed. 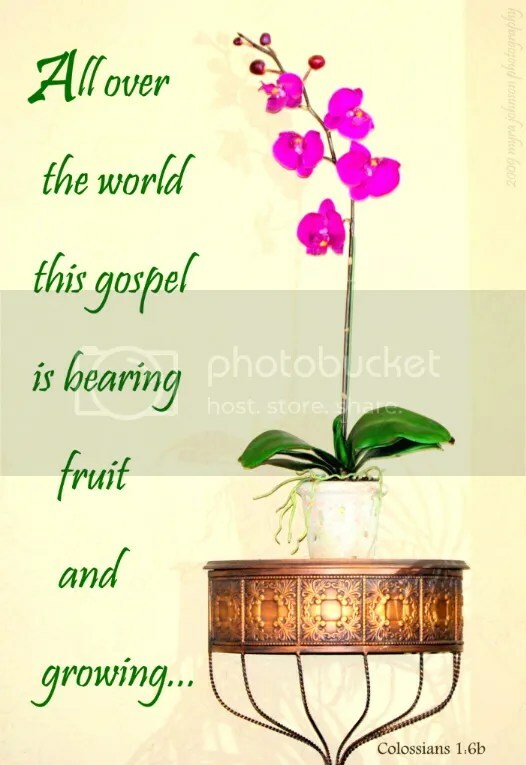 the gospel that has come to you. It was a truly delightful place. The rain was quietly falling on the blooming branches near the chairs and tables on the brick patio. As I entered the restaurant, I was seated in a quiet area as I waited for my friend to arrive. She had suggested the location. Antique lace adorned the windows while delicate flowers graced the rooms, all painted white. The soothing music of stringed instruments played softly in the background. Near my table was a sturdy shelf filled with tea cups and saucers, laden with colorful designs. The old wooden floor was a testimony of times past—perhaps a simpler one, less wrought with hurry. My friend soon arrived and we enjoyed a delicious meal as we talked together. The decor was elegant and the food was exceptional, yet the most important aspect of our time there would remain unseen. The friendship that we share brought life to the moments we had there as we updated each other on our hopes, our concerns, our lives and our families. To have a friend is to have a great blessing from God. To be a friend to someone else is to be a blessing. 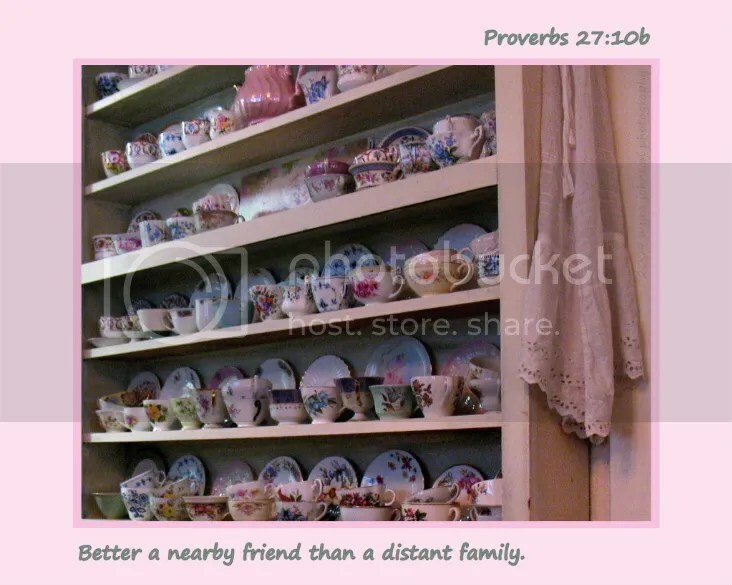 "Better a nearby friend than a distant family." Is there someone nearby that you could be a friend to today? 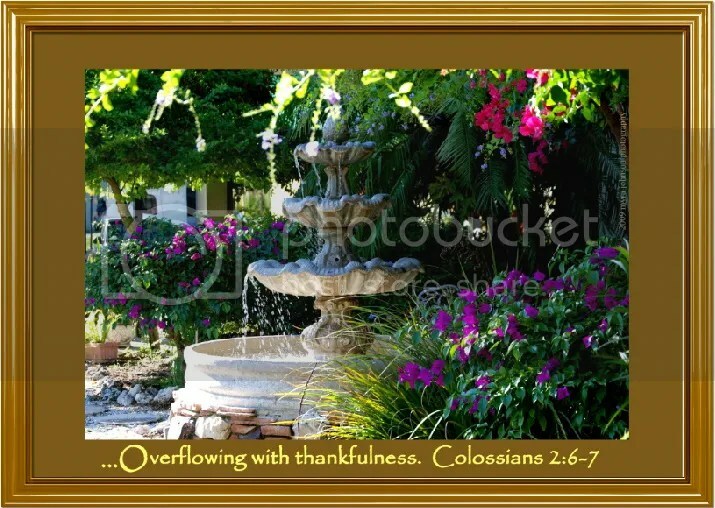 ….continue to overflow with thankfulness. It had been a day filled with thoughts, a day of searching and contemplation. I read from The Message. 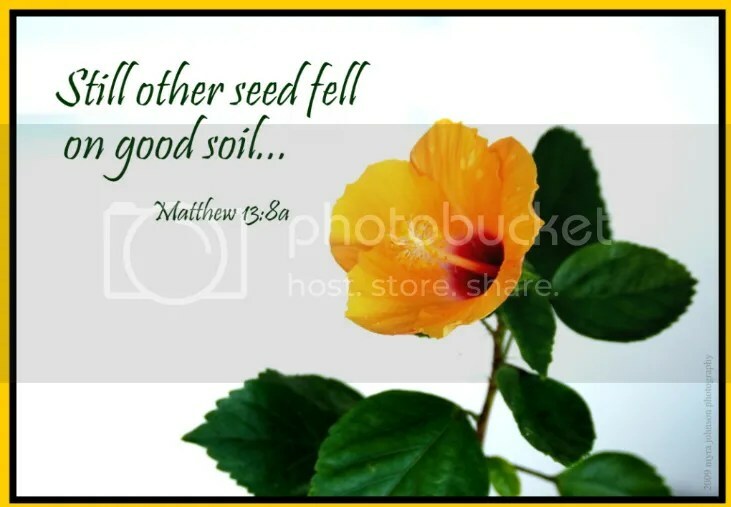 After Jesus told the parable of the farmer who scattered seed….. These lines are bulging with meaning for me. Could insight and understanding flow freely within it? Are signs of receptivity thriving or are they dimming? Is my heart the "good soil" that God desires? 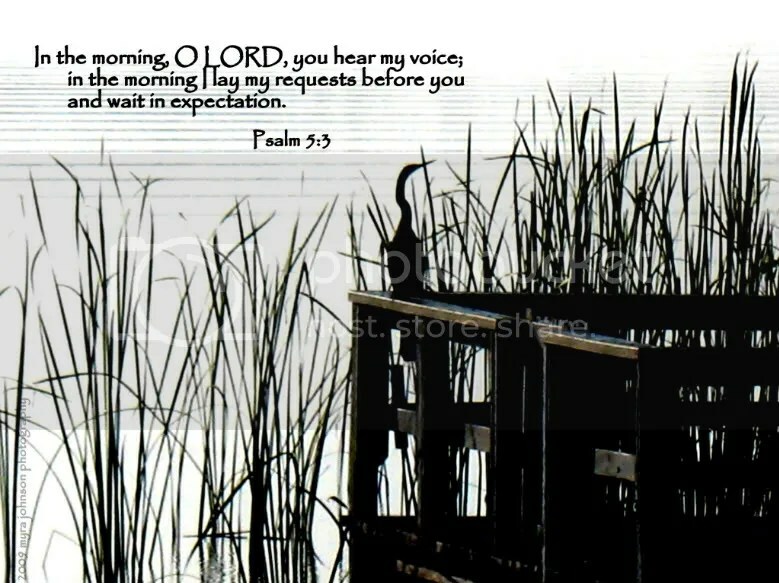 Lord, please help me to be ready to hear You. Help me to be receptive to insight that comes only from You. Do you ever feel that God is wanting you to pay particular attention to something? Have you ever felt that way, yet been unsure of exactly what He wanted you to pay attention to? A particular passage in the Bible has come to me over and over through many different avenues. This morning, I felt so strongly that God was speaking to me through these verses that I didn’t want anything to get in the way of my hearing and understanding of His directions. I wanted to silence all distractions in my mind and just listen. Although I am still unclear as to what God is showing me in His word through this passage, I am eager to know. Since it is unclear at this point, I am wondering if I am ready to know the final answer. Perhaps God is preparing me, one step at a time. As I seek this understanding, I know that all I can do is trust in Him. 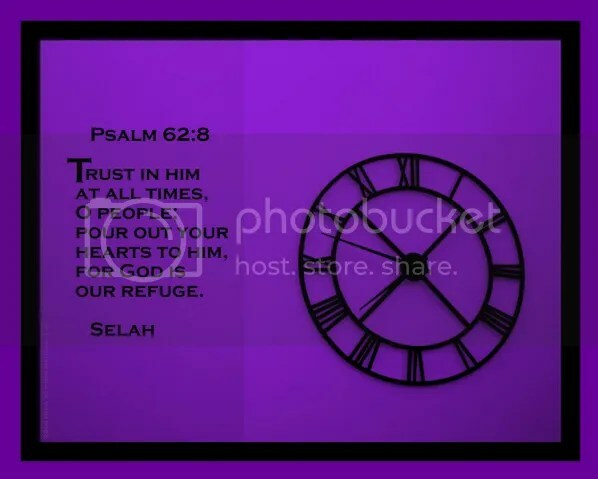 This time in my life is like no other; it is the present, and He is with me in the present and the future. Jesus said these words to His disciples. 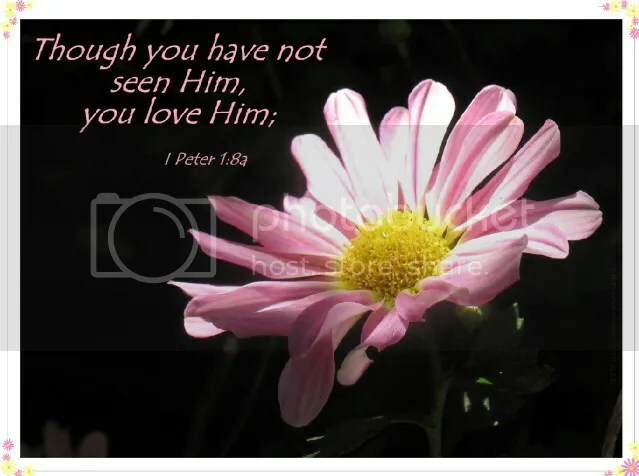 Peter asked Him if He was saying this to them or to the crowds of people who had gathered to hear Him. 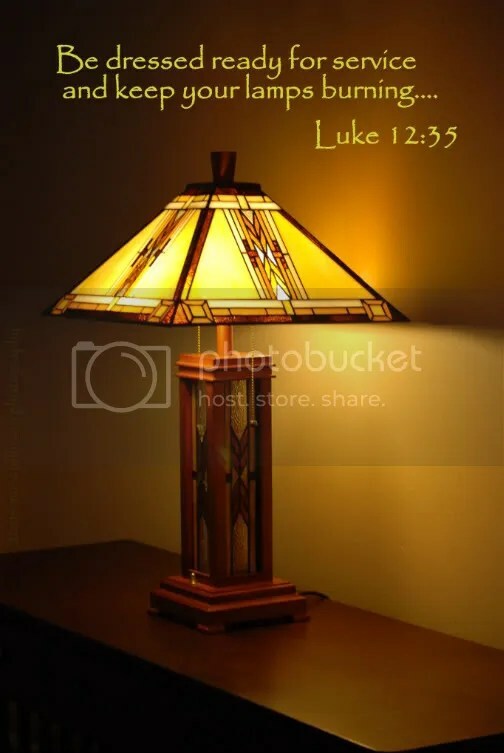 Jesus only expounded more on His teaching. The message is clear—we are to be ready. What exactly are we to be ready for? After His death and resurrection, Jesus ascended into Heaven. He will return one day to earth. Those who have believed in Him will live eternally in His presence. Those who have not believed in Him will live eternally away from Him. A common deception is to support the belief that we can put off such a decision until later. What if later never comes? Has God been speaking to your heart? Are you ready to ask Him for forgiveness, believing that Jesus has paid for your transgressions on the cross? Don’t wait. Pray and tell Him exactly how you feel. Be ready when He comes….. 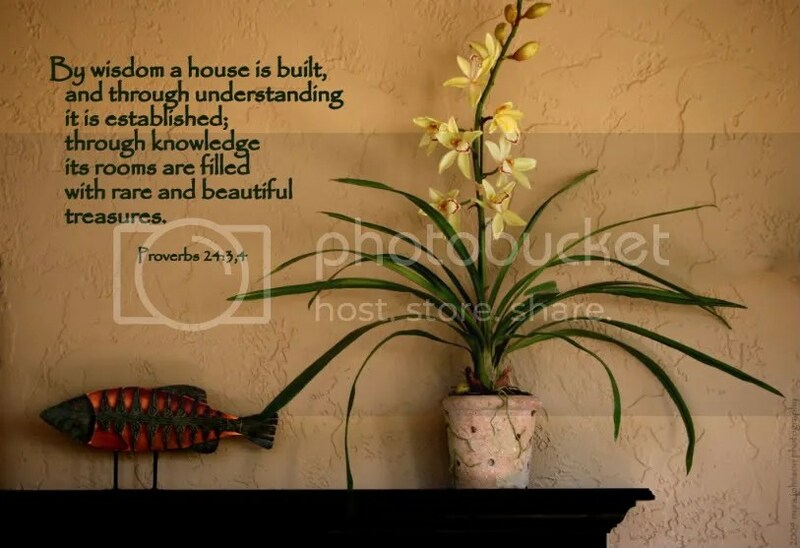 Through that wisdom, our households are constructed, one prayer at a time, one hug at a time, one minute at a time. True understanding comes from God. Through that understanding, our families are bonded together. True knowledge comes from God. 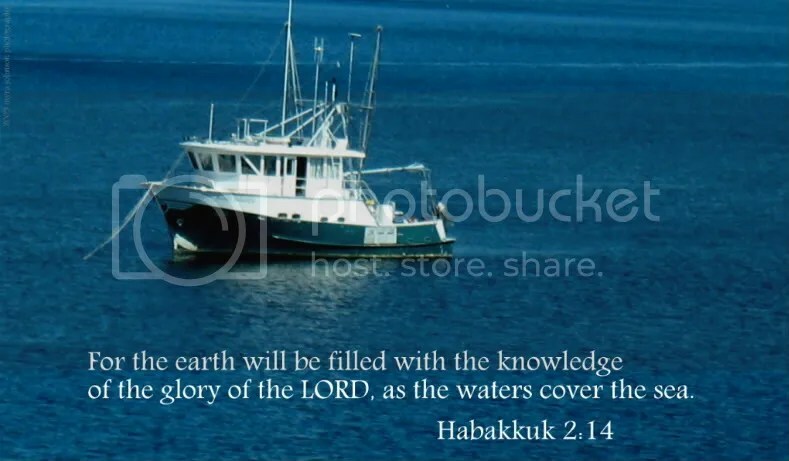 Through that knowledge, our lives are filled with the precious presence of knowing Him. He love is ever with us. I was a young "twenty-something." As I recall, I don’t believe I had ever been in a group book study before. There were regular meetings and daily assignments. I had two small children—a two year old and a nine month old baby. But that’s not the whole story; my mother was diagnosed with cancer. The last month or so of her life was spent in my home. I had never cared for someone who was terminally ill. How does one learn to do such a thing for their parents? God brought such love to me during that time. Since I needed to stay at our home with my mother at all times, the group met without me, but set up for the meeting with a speaker phone in the room so I could experience it as well. 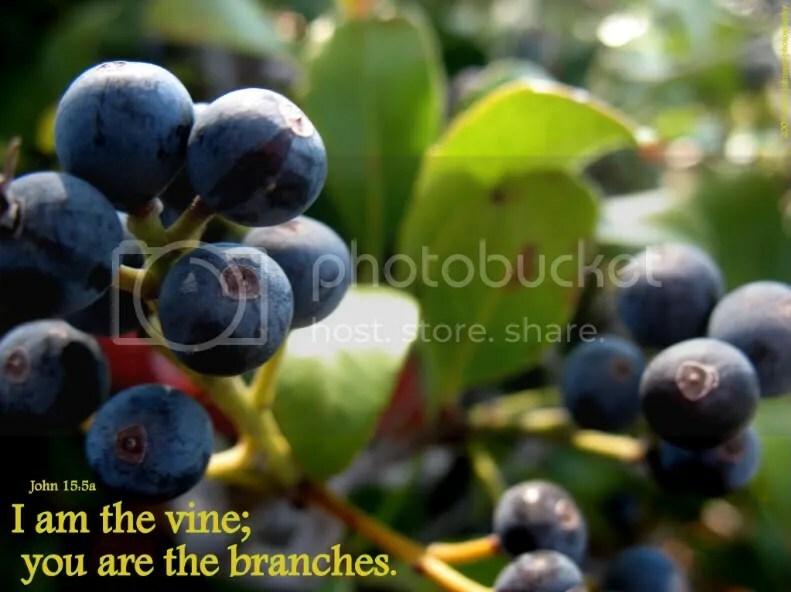 "I am the Vine. Ye are the branches. 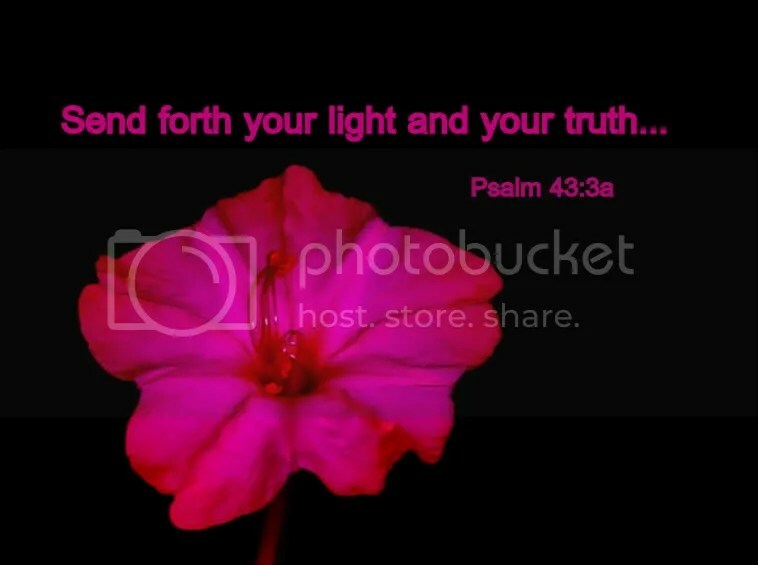 He that abideth in Me and I in him, the same bringeth forth much fruit, for without Me, ye can do nothing." Even during that difficult time of my mother’s illness and death, God was with me. My friends were with me, too, encouraging me and lifting me up. The group study helped me to focus on God during a time of great stress. I needed to "abide" in Him. Without Him, I could really do nothing. That was a long time ago, and many things have changed. One thing that has remained constant is the fact that Jesus is still the Vine and I am still a branch. If I desire to be fruitful in my faith, I must still seek to abide in Him. Without Jesus, I really can’t do anything. but they sneak past vigilant palace guards. The emotion evoked by well-being…or by the prospect of possessing what one desires. If we go to the dictionary, it will instruct us on the meaning of joy. To experience joy is another thing altogether. 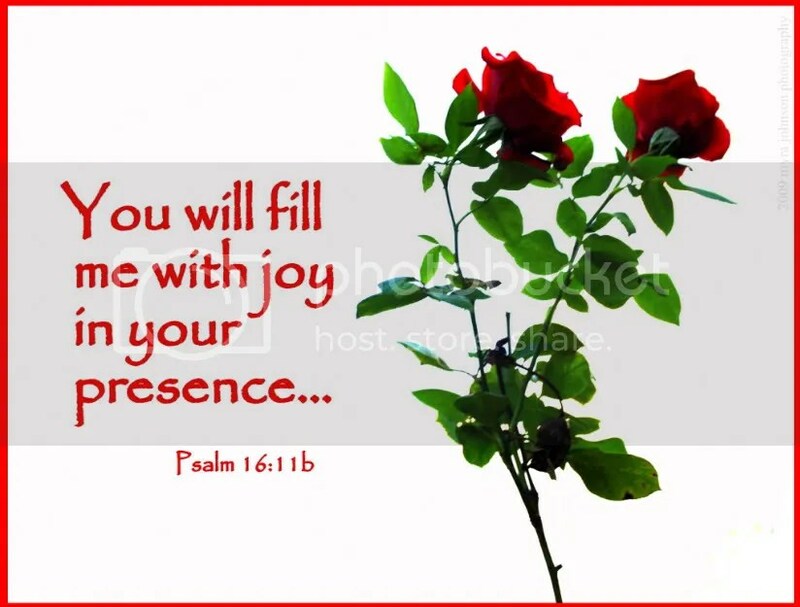 The psalmist declares that God is his "joy and delight." 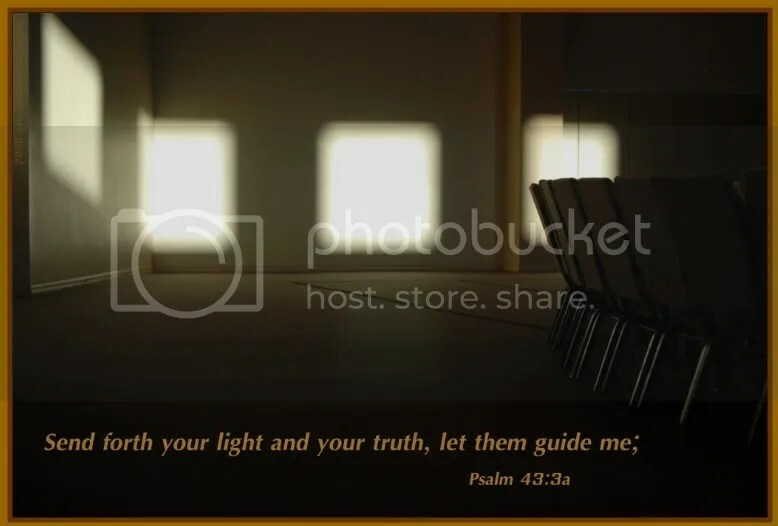 He asks that God’s light and truth be sent to guide him. He desires to go to the place where God dwells…to His altar. 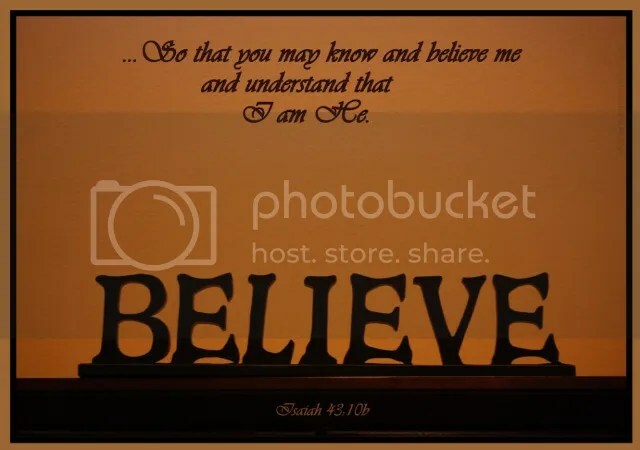 Knowing deep within you that there is a certainty of the presence of God brings joy. Experiencing the calm of His love brings joy. Feeling the reality of His forgiveness brings joy. We can read about it. we understand the peace and security that only He can give. I have been learning that God speaks to us in certain ways. 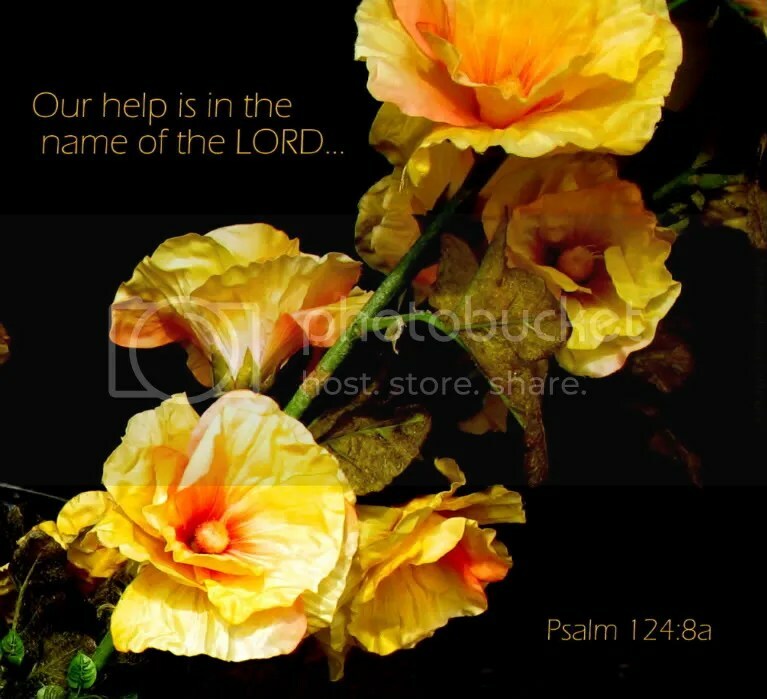 He speaks to us through His word, the Bible, through circumstances, through the Holy Spirit, through prayer and through the church (other believers). Today, I felt that I was prompted to "review" a truth that God had led me to at various times over the last three years or so. Over and over, it seems that God brings the parable of the sower and the seed to my attention. This morning, I was visiting a church in another city for the very first time. In the front foyer, I noticed a painting. I decided to photograph it. A tall man walked over to me and began to explain the significance of the print. He asked if I recognized the artist. I guessed--"Van Gogh?" I was correct. 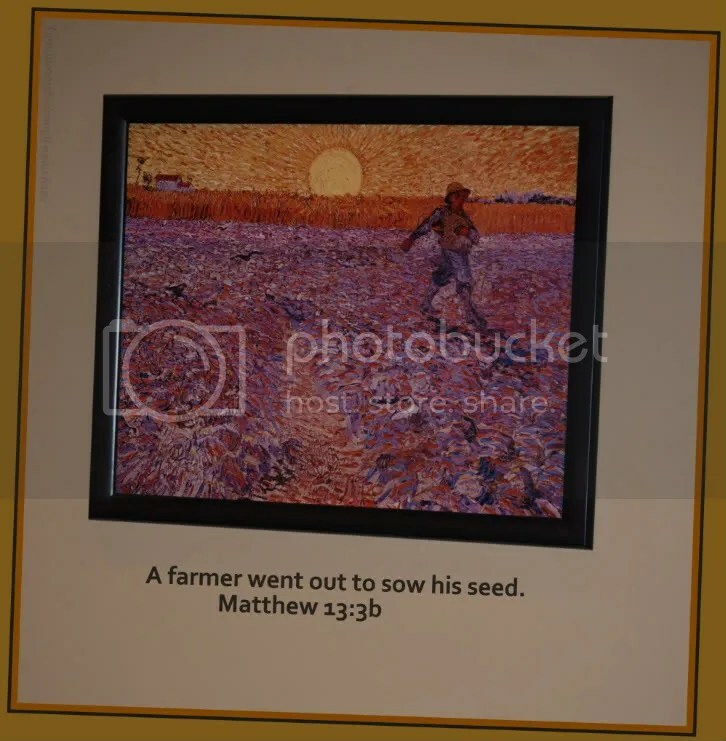 It would seem that Vincent Van Gogh was particularly fond of the parable of the sower and the seed from the Book of Matthew, found in chapter thirteen. I truly had no idea. He then showed me another Van Gogh print on the opposing wall. Not really making the connection, the man drew my attention to the fact that the word "Harvest" was part of the church’s name. The fields white unto harvest. The parable was once again brought before me. This was not a coincidence. I knew deep down that I needed to consider what I had learned in the past from this story again. God loves us so very much. 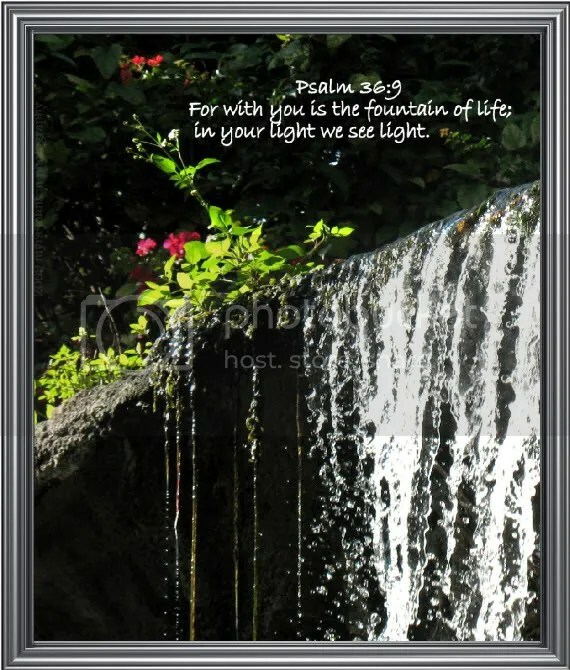 He desires for us to learn and to grow–in wisdom, in stature and in understanding. 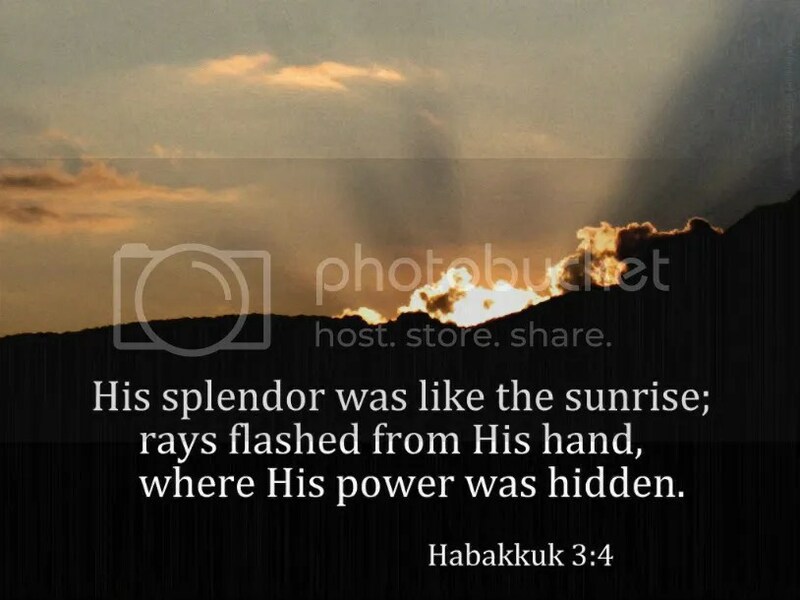 He will reveal Himself to us in various ways, bringing to light that which He desires us to know. He may also bring those lessons to the forefront more than once. Van Gogh’s painting will forever be a part of my personal journey of faith. A visible reminder of God’s voice, speaking truth to me through scripture, the Holy Spirit and the church. 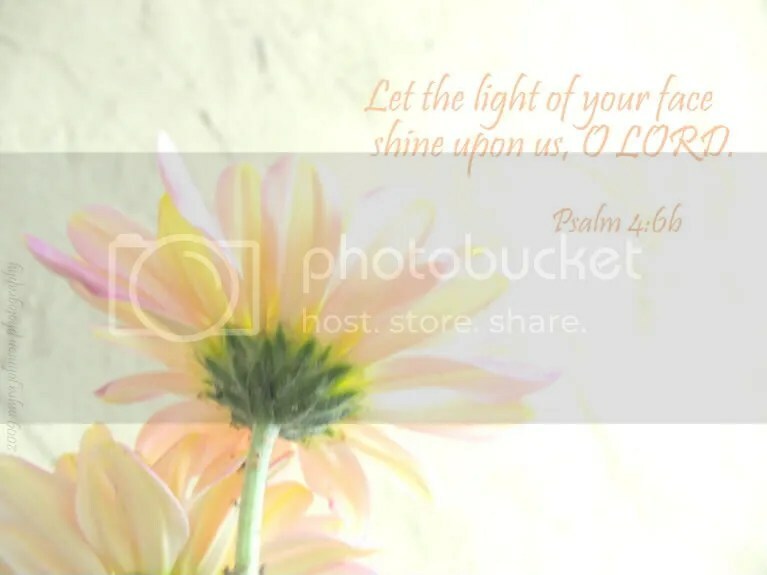 Leave a comment Posted in Today is the day the Lord has made!! As I was driving along the road, I saw it. 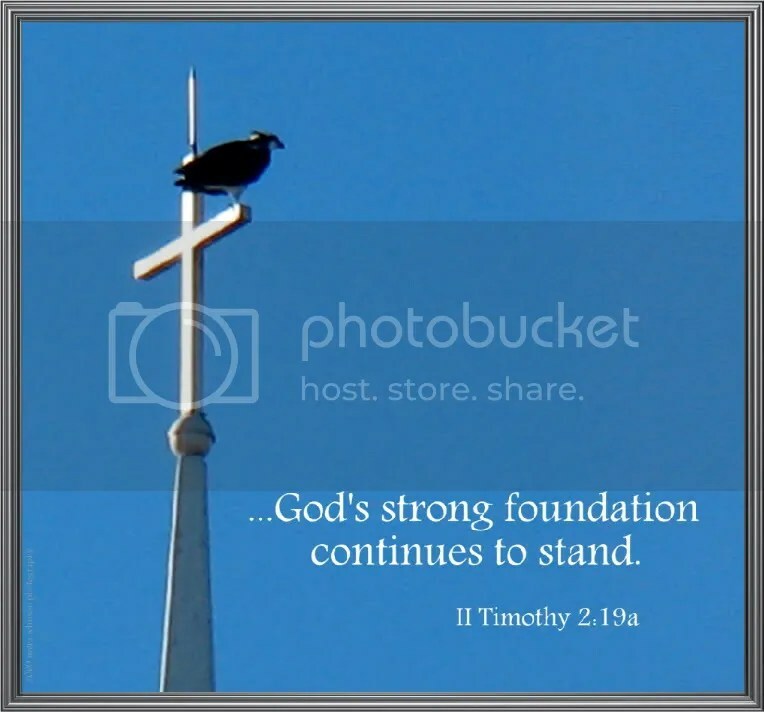 A rather large bird was standing on the steeple of the church I was approaching. The steeple was very high. Without much hesitation, I pulled over to the grassy shoulder and got out of the car. I took several photos of him, and as I continued looking, I marveled at how long he was remaining there, standing on the cross. 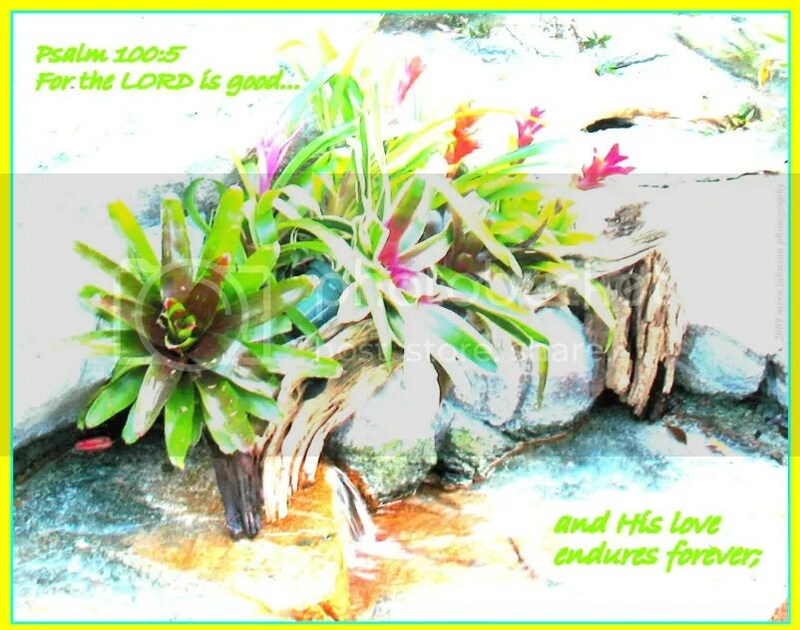 An old hymn that I learned as a child came back to me while looking at the photograph I had taken. This winged creature could have flown to any number of places nearby in order to view the world around him, yet he chose the cross. 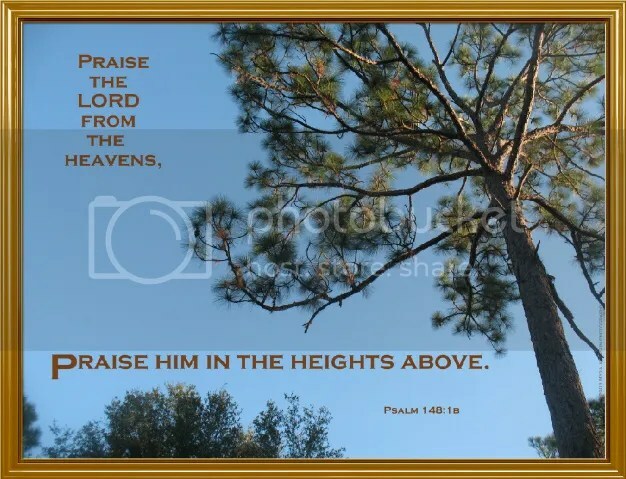 It was so high above the ground and unobstructed by tree branches and power lines. Surely, he could see clearly in almost any direction. Many times I find myself with an obstructed view. Things just seem to get in the way–illness, finances, worry. Too many branches are blocking my ability to see things correctly. What should I do? Realizing the need for a different perspective is a good first step. Realizing the need to have God’s perspective is next. As children of God, we must return to the "cross" and allow Him to be the solid foundation under our feet. Last night, I heard someone speaking about the power in the name of Jesus. What should you do when you are discouraged? Afraid? Confused? What if you want to pray, but you’re unsure of what to say? Speak the name of Jesus at those moments. The comfort of the Lord is my strength. The peace of the Lord is my strength. The guidance of the Lord is my strength. The wisdom of the Lord is my strength. The power of the Lord is my strength. 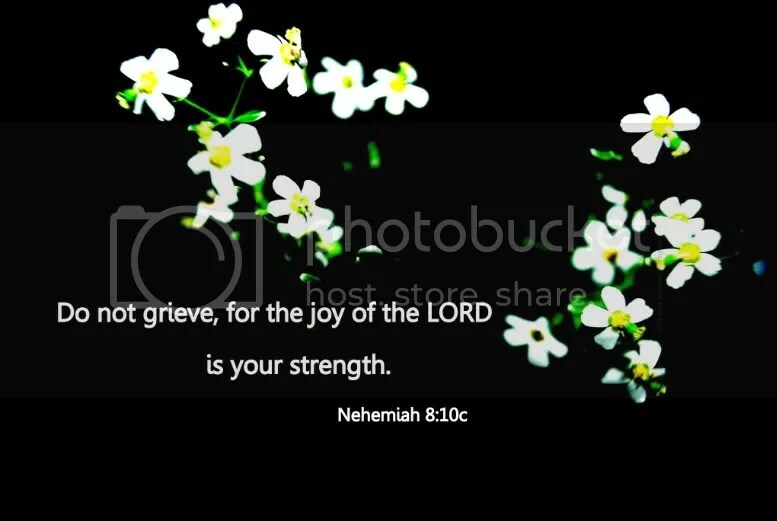 The compassion of the Lord is my strength. The hope of the Lord is my strength. The love of the Lord is my strength. The mercy of the Lord is my strength. The forgiveness of the Lord is my strength. It was a simple assignment. 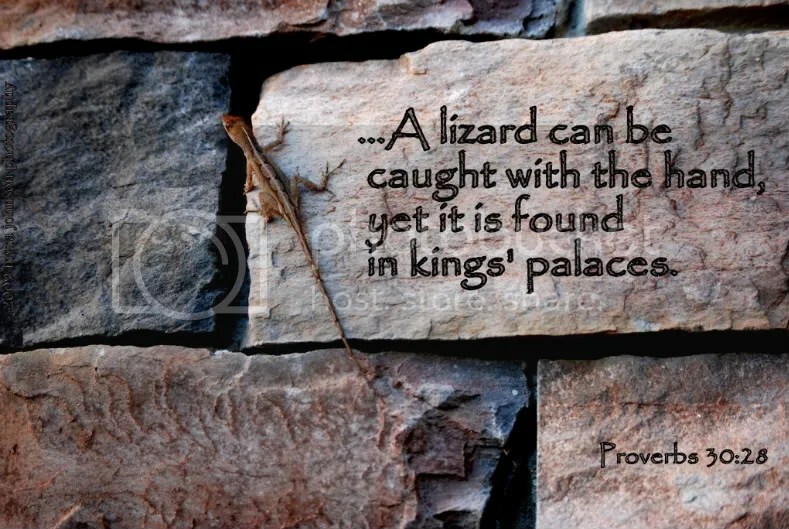 Go out into the forest and find some items in nature that have similar textures to what you have been given. One person had a tortilla chip. I had a piece of "felt." As my team was wandering about in search of texture, someone came to me holding an air plant. It did indeed feel very soft. At the end of our mini-expedition, I headed inside the conference room with my velvety plant. Tillandsia (air plants) do not need the soil to grow. Water and nutrients are absorbed from the leaves. in a very special and unique way. 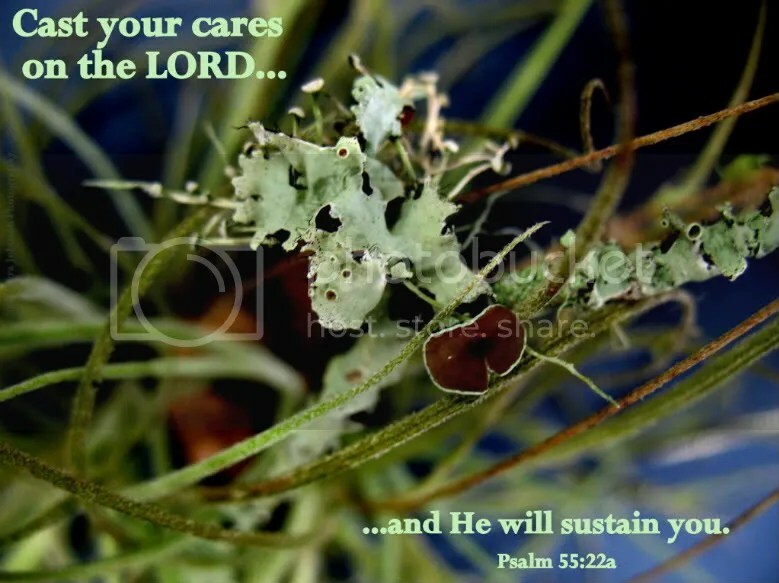 Are we, as Christians, like the Tillandsia plant? Though in the world, we are not rooted in the ways of sin any longer. We need only to cling to God in our every day journey and absorb the strength and guidance He gives us. He sustains us in a very special and unique way through fellowship, faithfulness and love. I really don’t recall ever considering this point at all. Within our human hearts we long for lack of confusion. Clarity of thought and direction. Love that we can count on. I suppose I’ve heard that term all my life. Well, I’m not exactly sure. Having missed my usual lunch time, I was hungry when I arrived home at about 4:00. While eating some fruit, I decided to have a moment to just look out the bay window located in the kitchen. Somehow, I had missed them earlier in the day as I walked past the rose bush. Three large, red roses were blooming, and another was in line to bloom very shortly. I am glad that I paused long enough to look out the window. Had I not, they might have gone completely unnoticed and unappreciated. Just seeing them in bloom somehow brought a smile to my heart. Perhaps, it is a kind of joy to be reminded that God is renewing nature and causing bushes to grow and roses to form. is He not creating a continual "new-ness" in me that will spring forth just at His appointed time? Those are some of the words I found when I looked up the word, "blessings." When we visit someone’s home, should we desire good for that family? Should we be thinking good wishes of peace? Should we be ready to offer support? Those might seem to be rather odd sounding statements; however, if Jesus were to visit your home, would you hope that He would feel this way? 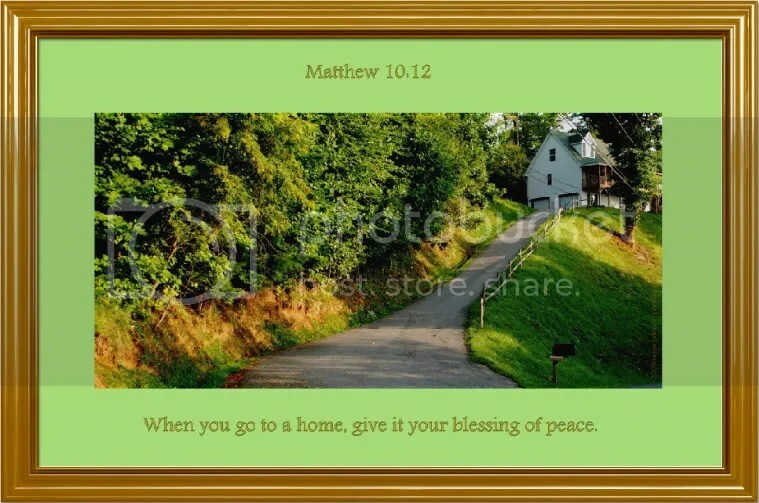 The next time you visit the home of a family member, friend or neighbor, consider how you might give it, "a blessing of peace." "I have swept away (insert any of your own personal failures) like a cloud." Can you think of something to place there? A personal failure that you deeply regret? Sometimes, our failures loom large. Yet, there is nothing that God cannot forgive. 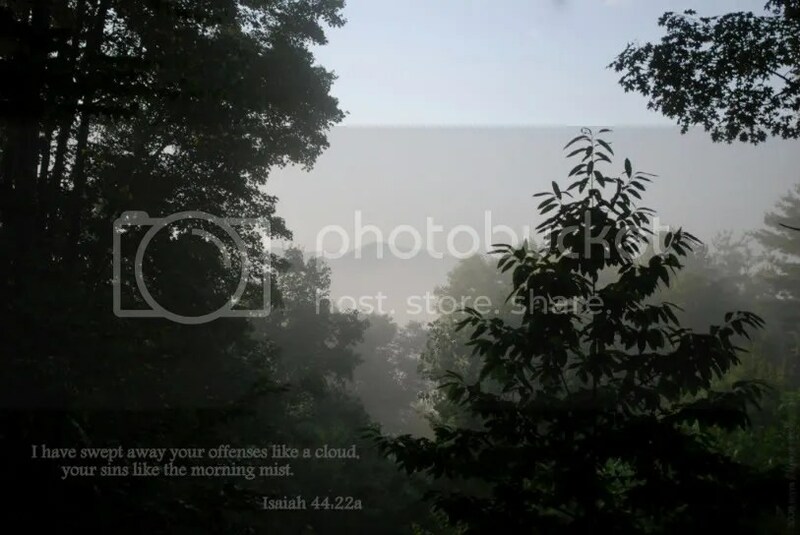 All that we have done to disappoint God is likened to a morning mist. Though once present, it fades in the light of day. Have you ever had to do "inventory" at work? I have. It usually involves counting items and recording their condition. Making note of anything new. Things that I may have forgotten about are accounted for. Just today, I was telling some friends about a very significant blessing that had come about. God has working in a such a powerful way in my own life and in the lives of those close to me. As I relayed to my friends how things used to be and how they are now, the reality of the blessing was once again made clear—and accounted for. Ecclesiates 11:1 says, "Cast your bread upon the waters, for after many days you will find it again." As I read that verse this evening, I must admit that I didn’t really understand what it meant. I have a parallel Bible that has an English translation on one side of the page and the corresponding thoughts of Eugene Peterson’s The Message, on the other side. I decided to look up this passage there and see if I could gain some greater knowledge. "Be generous; Invest in acts of charity. Charity yields high returns." When I was very, very small, my mother would take me to a city park. There were geese that lived there, not far from the tennis courts and the community swimming pool, yet in a natural area conducive to their well being. Vague memories of feeding the geese bits of bread are still in my mind. As a child, I think I did some casting of bread out to the creatures who were probably not much smaller than I was at the time. I have not taken the opportunity to hand feed park birds in awhile, yet I realize I am indeed casting my "bread" to others around me. A few bits of kindness thrown over there; a piece or two of compassion tossed to the side–a handful of love to someone in need. Is this the bread that I have been given? Is it’s only purpose to nurture those around me as I myself have been nurtured? 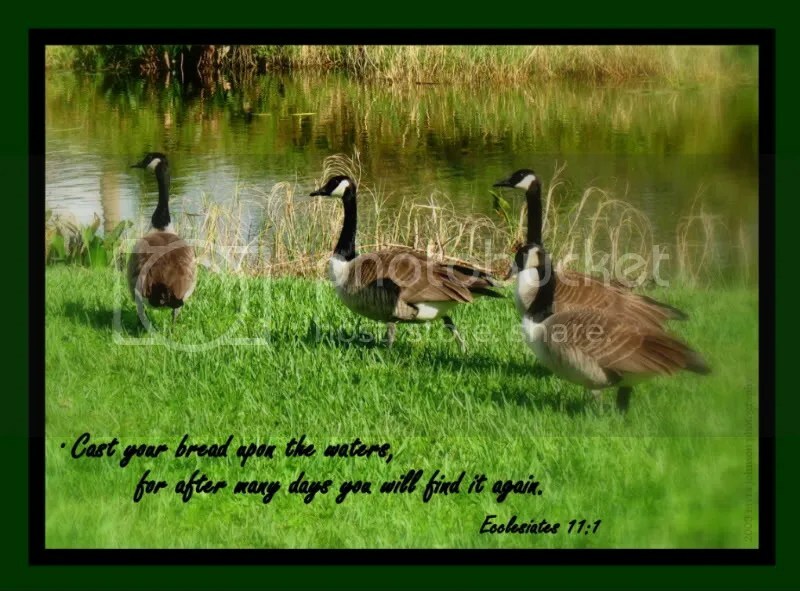 If we invest our lives in showing others the love of God, there will be many geese to gather– one day at a time. Help me, Lord, to be generous. Help me invest in acts of love for those you place into my path. Blurry-eyed, you look at the clock. But what morning is it? Oh, yes. Now, you know. One at a time, the tasks of the day come to mind. Must do this, must take care of that. Tell Him what’s on your heart. Get on up out of bed. Walk with Him through your day. Expect to see Him at work.